Whether you need help filing a 1041, 706 or some details about the steps and information needed to file those tax returns; LG&H wants to help you. Do you need to establish an EIN and determine a tax year-end that will be tax beneficial? We have done that before. 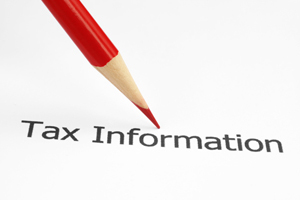 Any taxable income or at just $600 of gross income and you will need to file Form 1041. For help in determining what gets reported on the 1041 vs. the 1040, whether income is for the trust or beneficiary let LG&H assist in that determination. Let us make sure the new 2013 additional Medicare tax gets included on the return. The tax environment is always changing and LG&H wants to ensure that you are not left with an unintended tax bill. If we work together and plan ahead the tax effect of your plans and intentions can be minimized. If we assisted you in establishing just the right kind of trust we will also report the transactions in compliance with that type. Depending on the beneficiaries involved there may be multiple state returns due; we have seen it. Our goal is to meet your needs and we will do that by building a relationship. You know how your money should be spent and LG&H will help you accomplish this in the tax environment. During a time that taxes are the least of your worries or if you would prefer someone else to research tax problems, LG&H is here to support you. With the tax experience and daily updates on Treasury Department Rulings, Congressional Hearings, and Court Opinions take confidence in your selection of accountants.